Barometer - an instrument measuring atmospheric pressure, used in forecasting the weather and determining altitude. Hygrometer - instrument for measuring air humidity. 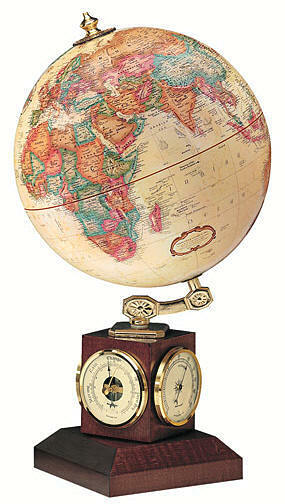 The brass-plated inclination mounting and finial accent the raised-relief antique style map of this fully up-to-date earth globe.